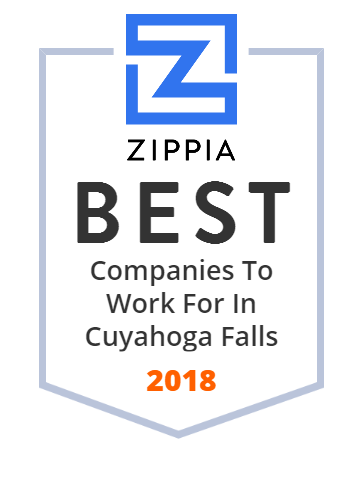 We hand-curated a list of the best companies to work for headquartered in and around Cuyahoga Falls, OH using data on salaries, company financial health, and employee diversity. Gentek Building Products, Inc. manufactures and distributes building products and materials. The company offers insulated, vinyl, steel, and aluminum sidings, as well as shakes and scallops, and soffit and fascia systems; and vinyl replacement windows, special shape windows, patio doors, new construction windows, and insulated glass packages. It markets and sells its products through a network of supply centers and independent distributors in the United States. The company was incorporated in 1994 and is based in Cuyahoga Falls, Ohio. Gentek Building Products, Inc. operates as a subsidiary of Associated Materials, LLC. Cuyahoga Falls High School (CFHS) is a public high school in Cuyahoga Falls, Ohio, United States. It is the only high school in the Cuyahoga Falls City School District. It has a current enrollment of around 1,663 students in grades 9-12. The school's athletic teams are known as the Black Tigers and compete in the Suburban League. Waddell Manufacturing has been crafting beautiful wood trim and furniture pieces since 1879. Our catalog includes many DIY kits, table legs, moulding and trim as well as other basic wooden parts.